We arrived at the venue about an hour early and I loved that there was no parking charge at the Concord Pavilion. Immediately we saw plenty of other kids and families lining up to get in and the process moved really quickly. Once inside, we got some lemonade and took an obligatory photo in front of some concert signage, before heading to our seats. Luckily, we found ourselves in a very nice location, pretty much center stage…just close enough to be able to see everything without having to rely on the video screens. The concert started a little after 7pm, but once it got rockin, it didn’t stop! They kicked it off with Bruno Mars’ 24k Magic and followed it up with hit after hit. 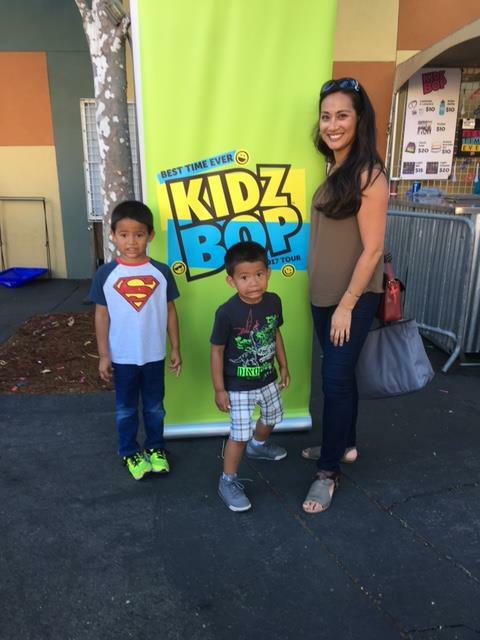 At our show there were 4 of the Kidz Bop kids performing, I don’t know if maybe they rotate shows, but it was perfect, we had Sierra, Juliana, Freddy and my boy’s’ favorite Kidz Bop Isaiah! At first mine were a bit shy and overwhelmed by the loud music, huge crowd and the huge show, but soon enough we were all singing along. A couple fun things they did to get the crowd excited were a “Dad Dance Off,” which coincidentally I recognized one of the dad’s on stage at our show…lol! And – he won it too! Then they tossed out some beach balls for the audience to bounce around… At that point my 4-year old asked if he could step out in the aisle and get a chance to give it a bop – to which I said was fine, but he ended up following the ball all the way down to stage right! I kept on a eye on him, since I loved that he was really getting into it, but eventually I had to go down and grab him, because the Mom in me panicked that he may not know his way back to our seats! 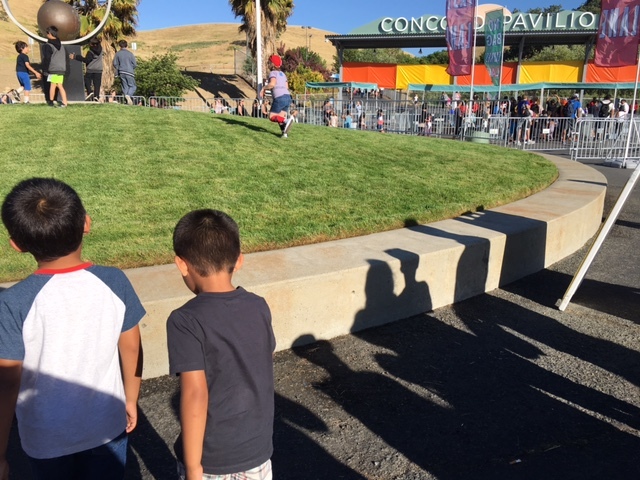 The security at Concord Pavilion were excellent in making sure i located him, when I had a second of panic getting down there…but it was awesome to find him doing the Whip and Nae Nae and cheering with the crowd. 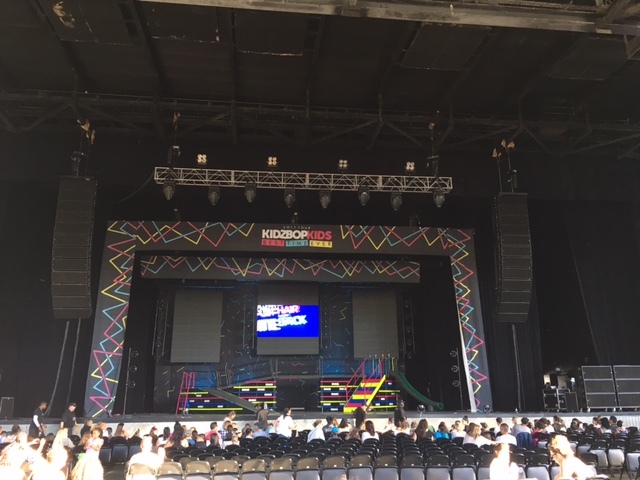 Side note – here are a couple tips based on what I learned in terms of safety for kids at a concert, show or any public venue where you may lose track of them… First, know what your child is wearing. 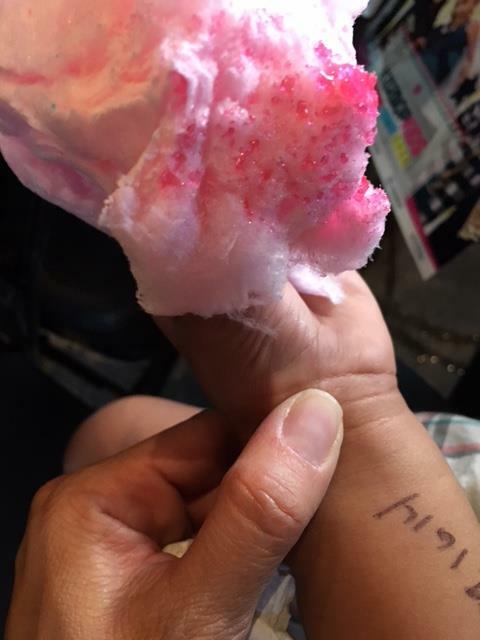 Note the outfit colors, logos, etc… Second, write your phone number on t heir arm or somewhere on their body so you can be contacted if you get separated! At any rate, we had an awesome, AWESOME time and I am so glad we decided to go. The show is a fun-filled, entertaining and energetic performance perfect for all ages, and very much worthwhile!